NEW 998cc Genesis Turbo Engine: The new Genesis 998 Turbo 3-cylinder engine delivers 800-class dominating performance in a compact package. 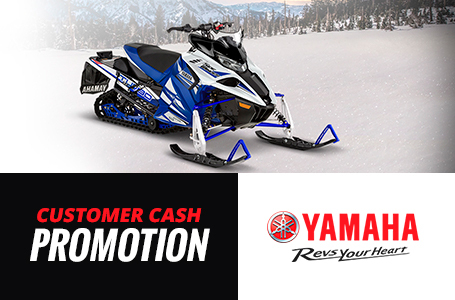 The high tech engine system carries a full suite of features to ensure you have a great day on the snow and a fun night when you reach your destination. We use our advanced nine-sensor engine management system to control fuel flow for maximum performance, but it also incorporates a knock sensor to adjust ignition timing and even manifold pressure if the need should arise. NEW Mitsubishi ECU: The Yamaha-developed Mitsubishi ECU uses a series of 9 sensors to gather running condition data and computes using its predetermined memory ‘map’. It then adjusts ignition timing, fuel delivery, manifold air-pressure and turbo boost pressure to produce maximum performance - reliably. 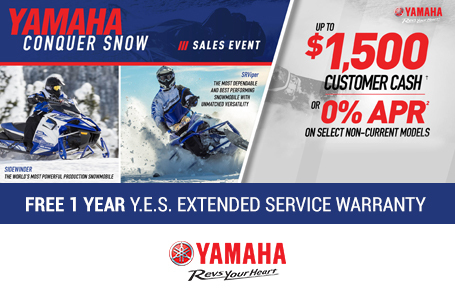 NEW YSRC Clutching: Yamaha has well over a decade of experience in harnessing the unique power delivery of a high performance four stroke engine. For the hyper performance Sidewinder R-TX LE, we have developed a new YSRC roller secondary system to deliver aggressive upshifting while also backshifting quickly to keep you in the power. In addition, we slightly upsized the new secondary to overshift and let the Sidewinder R-TX LE stretch its legs on a long lake run. NEW Triple Throttle Bodies: Yamaha engineers wanted to develop a turbo so smooth and so quick to respond that it doesn’t feel like a conventional turbo. One of the ways they achieved their goal was to develop the intake system using three separate throttle bodies instead of just one- something that is not seen in any other production turbo on the planet. And another first for Yamaha with the Genesis turbo. NEW Connecting Rod: Special, light weight, hardened carburized steel connecting rod design has the optimum strength required to produce maximum power. This new turbo-specific rod design uses nutted studs to join the closetolerance, machined-faced big end. The rods are also treated with a special Defric coating for cold start protection, to ensure long life and maximum reliability. Dual Shock SR 162 Rear Suspension: The unique Dual Shock SR rear suspension is a torsion springless design incorporating an infinitely adjustable FOX® FLOAT® shock at the rear arm for reduced weight and limitless tuning capabilities. For 2016 the suspension was improved with front arm travel and revised rear arm pull-rod geometry that both greatly reduces unwanted harsh bottoming and serves up more consistent track tensioning through the range of motion. 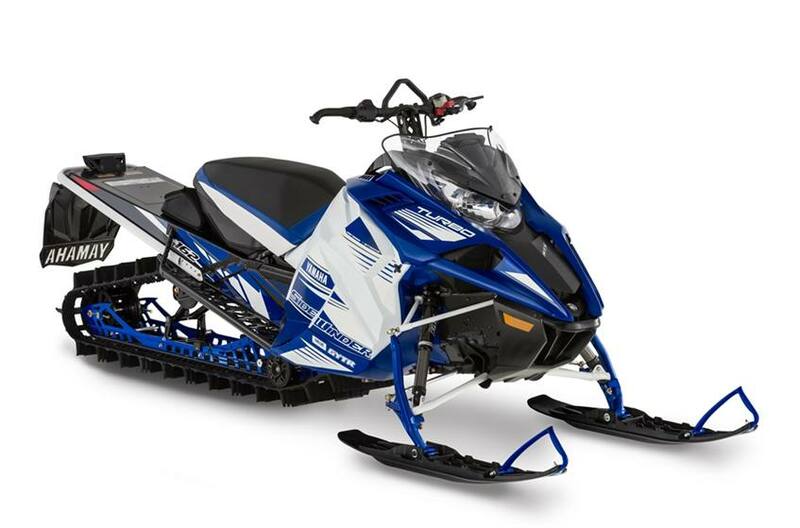 The open suspension design allows snow to evacuate quickly and easily, eliminating build up and unwanted weight. Tall Steering Post: A tall steering post delivers optimum ergonomics for standup riding. 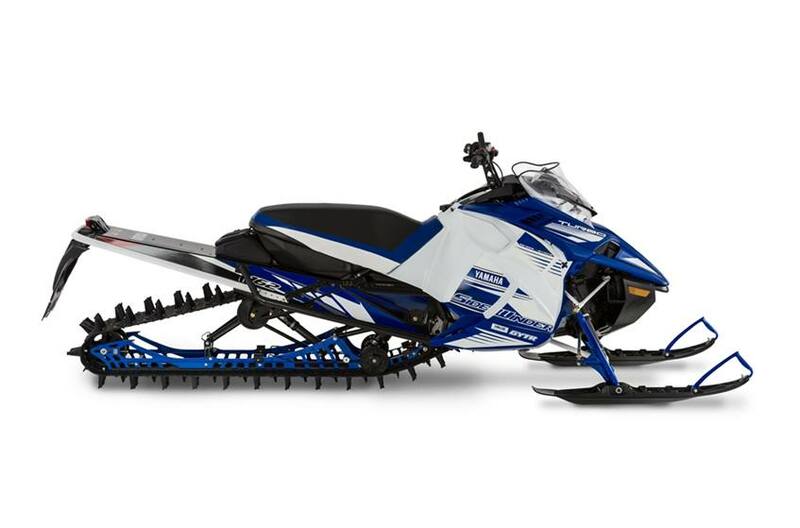 The tall riser, with broad curved-end mountain bar and incorporated mountain strap is unique to the Sidewinder M-TX 162 SE deep snow models and delivers leverage for off-trail riding. FOX FLOAT 3 Rear Shock: The next generation FOX FLOAT shock is now standard equipment and touts the limitless tuning capabilities of air-spring technology joined by improved calibrations, valving components and a new easier to access air valve. The FOX FLOAT is the most progressive, adjustable, and lightweight air shock available. Digital Gauge Package: The deluxe gauge package touts large, easy to read black on white digits, making it easy to keep track of vehicle and engine diagnostics. The easy to operate, technology packed display includes coolant temperature, exhaust temperature, intake air temperature, voltage, along with speed, rpm, altimeter, clock, fuel level, trip meters, and much more. Contoured Mountain Seat: The lightweight and narrow profile M-TX mountain seat is both shorter than a standard seat and more tapered towards the front. The seat allows for easier transitions from side-to-side, and improved stand-up ergonomics thanks to its narrow cockpit juncture. 15 x 162 x 3 in.